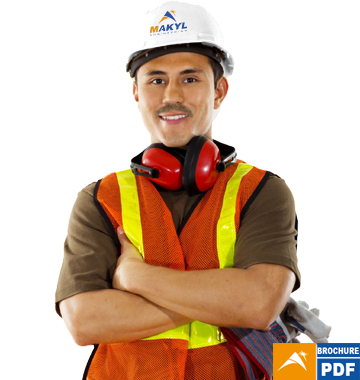 MAKYL Engineering Consulting & Services. Empresa peruana dedicada a la INGENIERÍA E IMPLEMENTACIÓN DE SOLUCIONES INTEGRALES. We are a multidisciplinary team that provides innovative engineering solutions to all sectors of the industry, promoting the integral development of its employees. Contact us, we are here to serve them and give the solution you require. ECS MAKYL E.I.R.L. Av. Canada 3644 3-A, Lima 30 Peru Central Telephone (511) 436-4575.